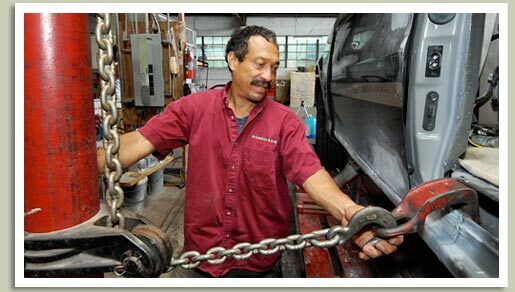 Chambliss Auto Body Repair is dedicated to providing top quality services to our fleet customers. As a service and maintenance-oriented facility, we understand how important your image is, and the impression that the condition of your company vehicles make with the viewing public. If you want to maximize the effect your vehicles have on your sales, service, and delivery operations, then you want them to look their best and be on the road with minimum downtime. This requires keeping your fleet in top physical condition so it can keep your business moving.